William Orville Douglas was born in Minnesota but spent most of his youth in Yakima, Washington. Mr. Douglas served as Chairman of the Securities and Exchange Commission from 1937 to 1939 before being tapped for the Supreme Court by President Franklin D. Roosevelt in 1939; FDR came close to picking Mr. Douglas as his running mate in the 1944 election. Douglas supported unpopular political causes and maintained an unconventional lifestyle. His opinions were characterized by a fierce commitment to individual and investors' rights. 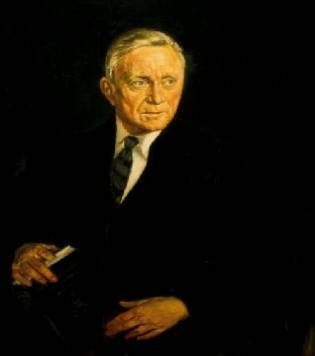 Justice Douglas holds the record for the longest continuous service on the nation's most powerful Court totaling 36 years and 7 months. In 1992, the Association of Securities and Exchange Commission Alumni, Inc. ("ASECA") instituted The William O. Douglas Award which ASECA confers annually on an SEC alumnus who has contributed to the development of the federal securities laws or served the financial and SEC community with distinction. ASECA welcomes nominations from ASECA members for recipients of the William O. Douglas Award. Nominated individuals should meet the criteria set forth above.